Progressive jackpot slots got the attention they deserve with the advent of online casinos. Instead of having to go to Las Vegas or any other casino center in the world, slots came to you! And in our opinion, although exotic, jackpot slots deserve a special treatment. Here, we’re going to take a look at the best progressive jackpot slots, what’s special about them and the science of video slots with progressive jackpots. Do not worry, we’re also going to present several online casinos that are designed with the jackpot hunters in mind. Above are online casinos that offer some of the best progressive slots and jackpot slots around. On top of this, the casinos offer standard slots and table games, strong bonuses and an overall great casino product. At the dawn of progressive slots, there had been just a casino-wide jackpot slot which you can find in Las Vegas for instance. It took decades for networked progressive jackpots to show up. But without a doubt, online progressive jackpot slots are the pinnacle of gaming. Much has changed, but even today, jackpot slots are what slot players dream about. Winning a prize of this magnitude is life-changing, but it also comes at a price, which most players are not prepared to pay. Moreover, back in the days, jackpot slots had only one jackpot on the menu. Nowadays, progressive jackpot slots feature up to 4 progressively increasing prizes. To make matters even better, thanks to highly versatile and user-friendly mobile casinos, slot players can pursue these jackpots on the go. It doesn’t take more than an Android smartphone or an iPhone to dive into the world of mobile progressive slots. Most Popular Jackpot Slots – the Pack Leaders! Regardless of your taste in slot games, when it comes to jackpot games, it’s all about how fast the jackpot is growing. Needless to say, the fun factor is also important, such as bonus games, whether there are free spins or not, and last but not least, the graphics and the audio. At the end of the day, slot players who are aiming high, jackpot high, are most likely into progressive slot games the likes of Mega Fortune and Mega Moolah. These two are direct rivals and take most of the jackpot slot market share. Speaking of Mega Fortune, Mega Moolah and popular jackpot slots in general, we’re going to go through other attractive jackpot games as well. After all, it’s not all about these two jackpots, there are dozens of other progressive video slots produced by a range of casino game providers. The bottom line is, players are into jackpot games mainly because of the 5, 6, 7 or even 8 digit jackpot prizes. The promotions, the bonuses, everything else you see on screen is just there so it looks unique, distinctive, special in a way. Jackpot Wins: How to Win a Progressive Slot Jackpot? Most online progressive jackpot slots do not have any special rules that you have to be aware of. However, certain second-tier jackpots mandate a higher than the usual minimum bet amount if you want to be eligible for the jackpot round. Without this bonus game, it’s just a regular video slot, which shouldn’t be displayed in the jackpot slot category. Then again, world-class progressive slots like the ones mentioned below do not call for such a thing. However, like all other things, jackpot rules have been subject to change, which is why you might want to check out the rule book before you start spinning the reels more seriously! One of the most common ways slot players take is to trigger a bonus round which resembles the Wheel of Fortune. Basically, you need to land 3 or more special symbols in regular play, which then activates this bonus game. All you have to do at this stage is to spin this “very unique” Wheel. Then, if the wheel stops where you want it to stop, you become the winner of the progressive jackpot. Some jackpot slot games like Mega Moolah, which comes with several progressive jackpots, have several favourable positions, which is why it’s one of the most sought-after online casino jackpot games in the UK and Europe. The difficult part is triggering the bonus game. Once you’re in, it’s highly unlikely that you’re ending a session empty-handed. Nevertheless, winning the Mega Moolah jackpot is way easier said than done. Instead of a bonus game with a “Wheel of Fortune”, these bonus games are either pick and click, or they have the wheel like nature, but it’s depicted differently. For what it’s worth, it doesn’t matter what the bonus game is, and how it works. We cannot say whether the outcome of the game is predetermined, meaning if it really matters which box you open, which door you go in, or which option you select. In other industries, to avoid any cheats, game designers set the outcome before the game starts, and in practice, the game itself is just there to meet the entertainment factor. Lastly, there are jackpots which you can win simply by playing the game, without triggering any bonus game, without spinning any wheels of fortune, that sort of stuff. Players can win the jackpot with every winning or losing spins in regular play. However, let it be duly noted that this kind of progressive slot games usually come with higher than the average minimum bet amount. To us, it makes no sense, but apparently, this works for a lot of progressive jackpot slot players. In addition, this type of progressive slots usually has extra bonus games to make up for the lack of progressive jackpot bonus round. It’s a detail, but one which cannot go unnoticed. We touched upon the topic of popular progressive jackpot slots, and the ones we pointed out are some of the best ones out there, but we’re also going to take a look at the best progressive jackpot slots in the world, ones that are available online. The top casino game providers are, in the same time, the ones that have the best jackpots in their portfolios. NetEnt needs no introduction, but if you’re new to jackpot slots, you might want to know about the other 2 slots in the portfolio, which have a strong foothold at both UK online casinos but also in casinos that target players from other regions. Without any doubts, the most popular jackpot slot by NetEnt, and the one with the fastest growing jackpot is Mega Fortune. It’s a simple video slot, from a tech and gameplay perspective, but as we said, the jackpot is too good to be missed out on. At the time of writing, the highest jackpot prize of Mega Fortune ever paid out was €17.8m. Is that good enough for you? In order to win the Mega Fortune Mega Jackpot, you first need to trigger the bonus game. Which is, in fact, a “Wheel” based game. 3 symbols are all it takes! Although they sound similar, Cosmic Fortune, Divine Fortune and any other “fortune” jackpot by NetEnt, they’re not in the same jackpot network with Mega Fortune. Arabian Nights may not captivate with its appearance and its audio, but it sure steals attention with the quickly growing jackpot prize. It was launched a while back, as a matter of fact, it was launched more than a decade ago, in 2005. Years, later, it’s still a go-to jackpot slot for thousands of slot players from all around the world, including the UK. Although it resembles the Genie from Aladdin and the Golden Lamp, this Gennie does not grant 3 wishes. Instead, it gives you millions of pounds, and you can do whatever you like with it. Certainly, it should be enough to make some of your wildest dreams come true! In all honesty, it’s an uncommon theme for a progressive jackpot slot. Nevertheless, the more the merrier, and the wider the array the higher the chances that all players are satisfied and happy with the game. Hall of Gods, although not at the top of the jackpot lists, it also is a real treat for jackpot slot players. Is it rewarding? You bet! However, we have to be straight with you, the jackpot is not as fast-growing as Mega Fortune’s. Play Hall of Gods slot! Microgaming is one of the biggest online casino game providers with hundreds of casino games, of which, most are slots. Although their jackpot slot portfolio is not overwhelming, they do have a few progressive slots that have become a staple, one of which, you know very well! It’s almost identical with Mega Fortune, but it shows a different theme. From a gameplay perspective, Mega Moolah jackpot does not introduce anything extra. In simple words, it’s a Mega Fortune slot with “warmer” colors. That’s pretty much it. It comes with 4 progressive jackpots, and each of them has a minimum guaranteed jackpot amount. If you’re into safari and African elements, Mega Moolah is the way to go! In most cases, if you see the logo of Mega Moolah, you definitely can play Mega Fortune as well. They go hand in hand! Mega Moolah is the only direct rival of Mega Fortune, and them to dominate the list of top 5 online jackpot prizes paid out online. Here’s one of those progressive slots with the minimum qualifying bet. King Cashalot by Microgaming comes with 3 bonus elements and a progressive jackpot. This makes it a slot with a rather diverse and complex paytable, but one that actually works! Nevertheless, due to the game rules, it’s not exactly the go-to slot for jackpot hunters. To make matters worse, you need the 5 King Symbols to land on the line number 9 to get the jackpot! It’s demanding, meaning you need a hefty budget in order to enjoy the game. The minimum jackpot qualifying bet is 45 coins. Major Millions is from the age of King Cashalot, and to some extent, we like this one better. Like the King Cashalot, you need to land 5 Major Millions symbols on line 15. The game rules make it almost impossible to win the jackpot. Also, frankly speaking, it’s not the fastest growing jackpot out there, which is why we recommend sticking to the leading progressive slots. If you’re looking for some new content to play, then, and only then, Major Millions and King Cashalot are options which can be considered. Playtech is huge in the UK, as a matter of fact, it’s one of the few online casino game providers which can set in motion an entire online casino all by themselves. It goes without saying that it also has its own progressive video slots which deserve your attention, or at the very least, they deserve a shot! We must point out that Playtech’s progressive slots look different than what we saw until this point. Moreover, this game category has been through a lot at Playtech, mainly because of legal issues, which were not related to Playtech. Previously known as some of the most attractive video slots which depicted the lives of comic book heroes created by Marvel, now known for the Age of the Gods progressive slots. They are Playtech’s leading slot products which dominate UK online casinos. 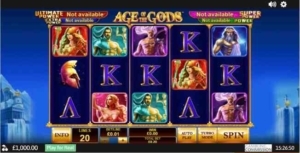 There is almost half a dozen Age of the Gods progressive jackpot slot games, but all of them are part of the same jackpot network. They’re based on their previous leading characters, which belong to Disney’s Marvel Universe. Play Age of the Gods slot! Unlike Age of the Gods, Jackpot Giant slot follows a more traditional theme, which is rather media friendly. It’s been the core product UK facing online casinos use when advertising in the United Kingdom. Nevertheless, even if you haven’t seen him yet, you will meet him, and you will like him. In addition, Jackpot Giant is also part of the group of jackpot slots which dictate a max bet qualifying amount for the jackpot prize. This is one of the main reason why we recommend Age of the Gods slot games over Jackpot Giant any day of the week. For your information, the qualifying bet is £4 per spin. Jackpot players who love Playtech’s approach have another jackpot alternative! With Marvel exiting the online gaming scene, a vacuum was created, filled by none other but DC Comics. Although their superheroes have been already present, they weren’t as popular as Playtech’s slots. DC Comics’ slots were popularised by NYX Interactive and their subsidiaries like NextGen and Amaya. However, these slots were not progressive jackpot slots. Playtech offers almost a dozen progressive jackpot slots based on the heroes of the DC Universe. Such as Green Lanter, Superman, Wonder Woman, and of course, the easily recognisable Batman. To make matters more interesting, besides a progressive jackpot, you also get to see the aforementioned heroes meeting the antagonists. If you’re a player who likes to see all of them at once, Justice League slot is the best option you've got. Yggdrasil is a new name in the online gaming industry if compared with the previous three. In spite of this, it has been a tough nut to crack for its competitors, and to this day, it’s thriving in the market, with a dozen hits! It’s not as big as the previous competitors, but it offers several slot games with regular jackpots that have turned out to be successful. This is Yggdrasils’s depiction of the adventures of the most popular detective, Sherlock Holmes. Unsurprisingly, since it’s on this list, it comes with a progressive jackpot, which we think can be of great interest to you. The reason being, it’s not an extremely popular slot, but the jackpot is always on an attractive level. This is good, this is what you want. Eventually, you’ll start liking the game, and the bonus elements are there to help! Be careful with this one! It incentivises long-play sessions because, in order to win the jackpot, you have to collect a number of diamonds! Moreover, this is a local progressive jackpot. Play Holmes and the Stolen Stones slot! This particular progressive slot deviates from the standard rules we laid out. Not only you have to trigger a bonus round, by landing a joker on each reel in the base game, but you also need to fill out the entire grid with the said jokers. Once all symbols are jokers, the progressive jackpot is yours. Now, as long as you manage to land one additional joker per “free” spin in the bonus game, you have nothing to worry about. In addition, in our experience, the bonus game rewards are absolutely spectacular! An online casino studio which produces slot games, but with a strange twist. Some of its greatest hits are all based on Hollywood movie hits. Because of this, and only because of this, we see their slot games in the popular tabs, occasionally. Even the top 3 progressive slots produced by iSoftBet are based on related to movie characters, at least two out of 3 are! Rango, Rango, the “notorious” sheriff, which was a big success on the big screen caught iSoftBet’s attention, and soon after, it got its very own slot game. It is a progressive slot, but with a jackpot which you can win without triggering any bonus game, without spinning any wheels, in other words, you can win the jackpot in the base game. John Rambo, you don’t have to meet him to win the Rambo jackpot. As a matter of fact, we recommend avoiding John. Nothing special, nothing out of the ordinary, but if you’re into movies, the Rambo progressive slot should be on your list. Unlike Microgaming’s Terminator 2 for instance, the Rambo jackpot grows progressively! Not one, but three progressive jackpots are on the menu if you decide to play Lucky Leprechaun by iSoftBet. Again, the video and the audio are not iSoftBet’s best piece. Nowhere near the quality of its other movie-themed video slots. Leprechauns are not our thing, but we had to list it here as iSoftBet does not have a long range of progressive video slots. Overall, it’s just a filler. And then, there are those that like their product for themselves only. 888 is a well-known brand both in the online betting and the online gaming industry, but it’s been particularly successful in the poker niche. However, it also has its share of online casino game production, and in particular, we’re going to point out 3 of their finest and most popular progressive slots. You may come across them under the software provider 888Holdings or Dragonfish, but they’re pretty explicitly labeled as 888 Exclusives. A theme which is rather popularised in the slots niche, it’s sort of a safe call. It has a seat among the top progressive slots because its jackpot is usually in the 6 and 7 digit range. More importantly, it does not have a minimum qualifying bet to win the jackpot, and you do not have to land any particular combination of symbols on the reels to enter any sort of a jackpot bonus game. Any spin, winning or losing, can bring you themuch-wantedd jackpot prize! Now, it’s not a visual masterpiece, but the gameplay is fairly decent. 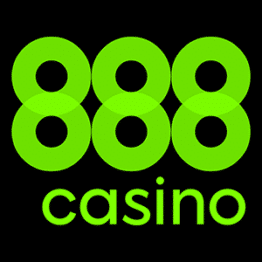 If you like to avoid playing progressive slot games which come with a jackpot bonus game, 888 Exclusives are your best bet! Sizzling Hot Jokers, in all honesty, way more visually pleasing, also does not have a jackpot bonus game, meaning any spin can give you a significant boost to your cash balance and put a rather big smile on your face, and for a long time! Play Sizzling Hot Jokers slot! Besides 3 bonus elements, including Free Spins, a bonus game, and a Wild Symbol, Rise of the Pharaohs by 888 is a progressive slot as well! Like the previous two slot games, it also does not have a jackpot bonus game. In our experience, players like to stick to a particular theme, because it’s not intimidating them. Now, if you’re into the whole Egyptian thing, and want to have real chances of winning a progressive slot online, this is a good place to start, Rise of the Pharaohs slot. Play Rise of the Pharaohs slot! It’s a mystery which has put many players to the ultimate test, can they quit, can they play with a cool head? Such an overwhelming jackpot amount can make any player spiral out of control. In our opinion, it’s jackpot games like this that cause most of the gambling problems. This is why the tips we’re going to give are mostly related to how much and how you play the progressive slots we listed above. First and foremost, it’s our responsibility to say this, do not wager more than you can afford. The problem with progressive slots is that they’re extremely volatile, nobody can guarantee you will get the jackpot, yet you have to deal with a lower than average return to player. Because of this, avoid long sessions, and instead, place a few bets each day, or whenever you find it appropriate. It feels as if you’re buying a lottery ticket! With a bet amount of say, £4 for a chance to win several million pounds, it doesn’t sound like a good deal. Every spin feels like a lottery ticket. Our advice, stay away from them! This one’s pretty straightforward. There’s no point in spending time and money playing a progressive slot if the jackpot amount has not reached a particular threshold. Believe it or not, players from certain regions are not allowed to play progressive slots. Usually, it’s the provider’s policy. But in recent times, casino operators are growing selective as to who can play these progressive jackpot slots. Playing with bonus money is at some casinos considered a breach! If the max bet is, say, more than the max bet limit for bonus player of £5, that particular game is out of the question! Similar to the first tip, but still different. When we say consistent, we don’t mean you should go on a rampage playing half an hour every single day. Instead, spread one half an hour play session over an entire week, or even better, over 2 weeks! The game rules, not the history of Cleopatra. It takes just a couple of minutes to know the game rules inside out. You don’t want to miss anything. It’s not like you can make a difference, but we’ve heard of players who have been playing a progressive slot for months, without realizing that they’ve been placing the wrong bet amount the entire time. Things like this, for example, can make a difference. Imagine if this same player had been placing qualifying bets, he might’ve become a millionaire by now!